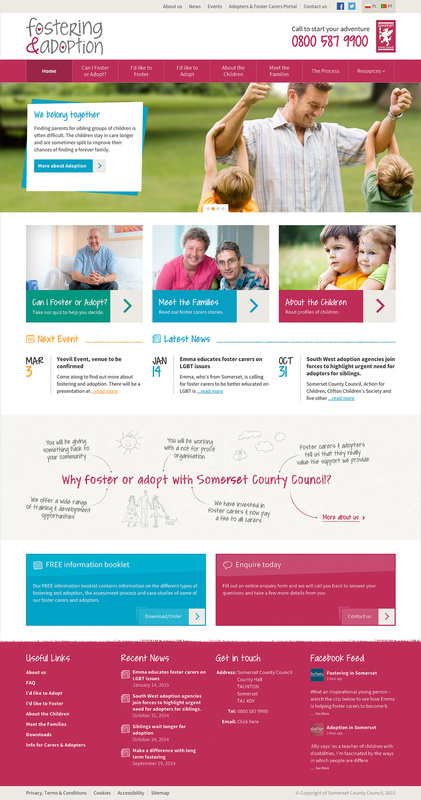 A change to the internal structure at Somerset County Council resulted in their Fostering and Adoption teams uniting. Consequently, they required their digital content to be consolidated into a single, modern and user-friendly website. 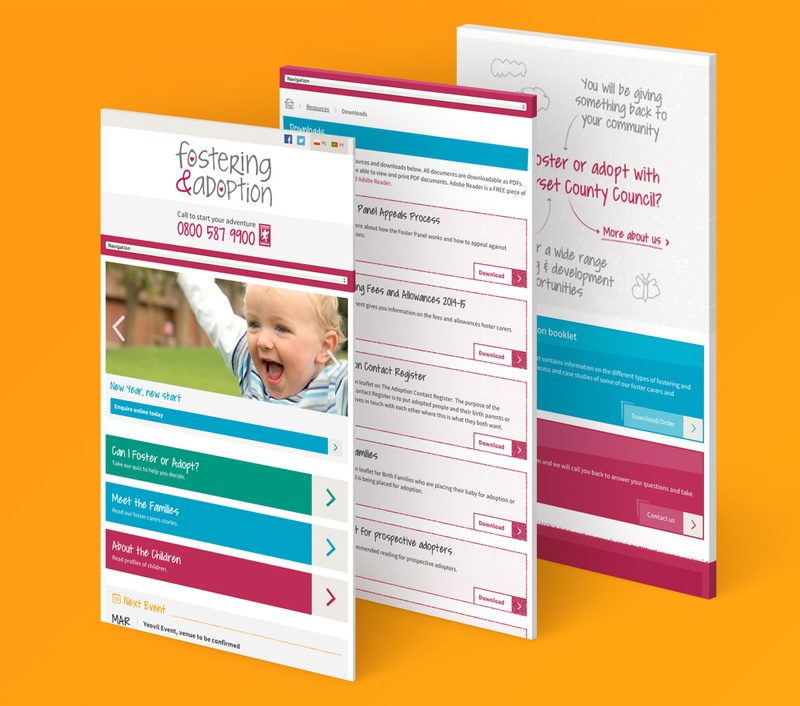 Having previously worked with Somerset County Council’s Fostering and Adoption departments (SCCFAD) on their printed literature, we had a thorough understanding of their brand and audience, and applied this knowledge to establish a compelling new online presence. 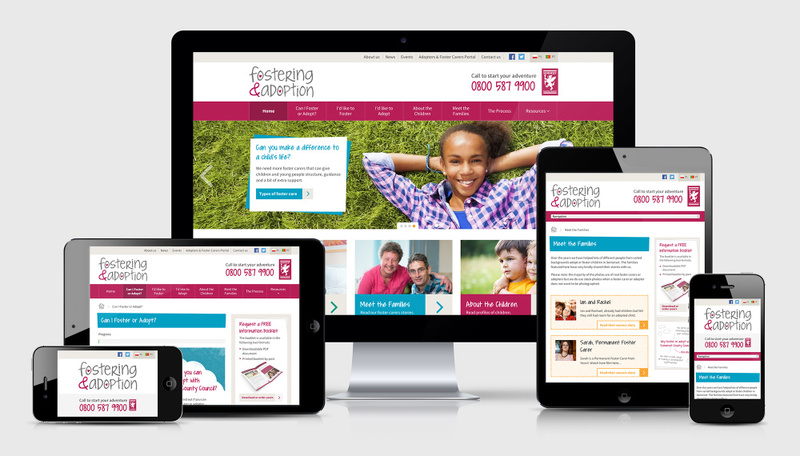 Tasked to create a communicative, friendly and accessible website, we optimised the website design for users who may be browsing on a wide-range of screen sizes – from traditional desktop computers to tablets and mobile devices. The partnership of inviting copy, children’s illustrations and selective photography informs the audience and positions SCCFAD as a natural guide without the formality. Bright colours and warm imagery further establish a sense of approachability from the outset. 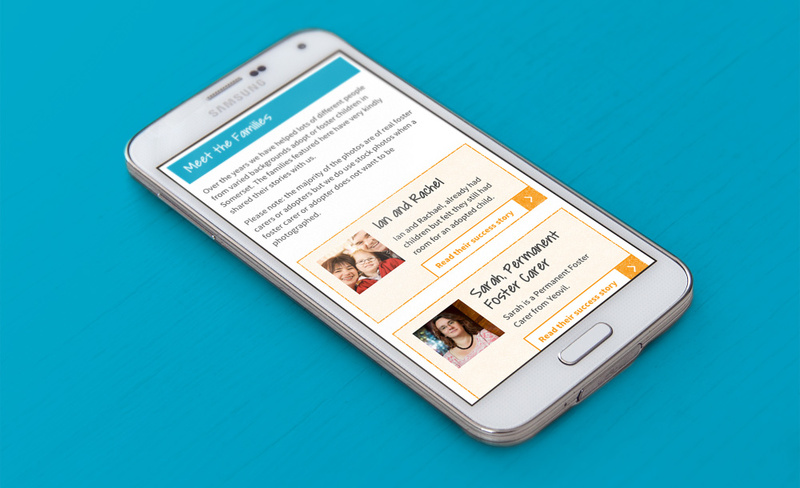 Responsive by nature, the website is a breeze to use on a wide range of browsing devices, appealing to a vastly greater online audience than ever before. “Working with the team at Drive has been easy. They took the time to understand exactly what I was after in style and the functionality and suggested ways that the website could be improved. “The website looks bright and friendly and has all the features I was after. The team made sure I was happy with every aspect of the website before it went live and made sure I was trained on how to update the site”.